As our avid readers will know, from time to time we like to break from the norm of writing about apps, cell phones, tablets and the latest goings-on in the world of tech. We like to have a bit of fun every now and again, and this beauty below has had a few of us laughing in the office today. 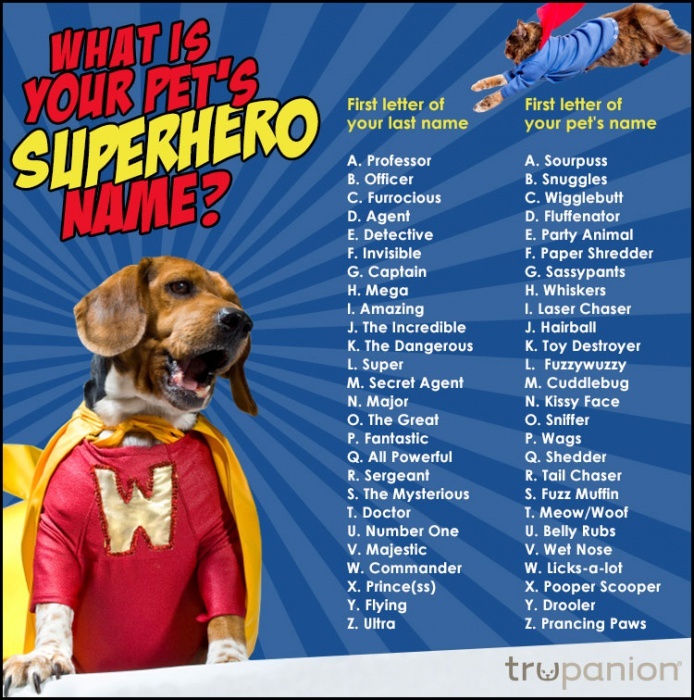 So, what is your pets superhero name?